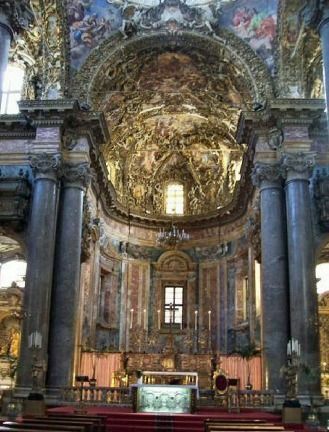 The church of S. Joseph Theatine is one of the most important and significant of the early Baroque in Sicily. It was built in 1612, designed by Giacomo Bosio, but was consecrated in 1677. 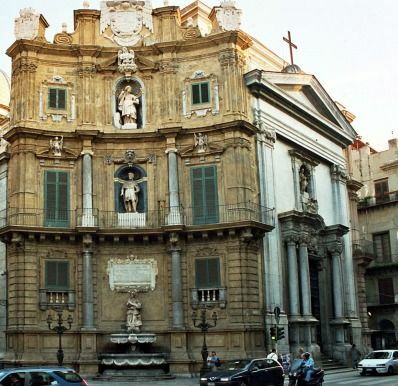 The facade is among the most beautiful in Sicily, has also a beautiful bell tower, the end of which, of octagonal shape, is decorated with columns in hanks. The outer sides of the building are well decorated and the beautiful dome is by Giuseppe Mariani from Pistoia. Inside, where it is accessible by steps in gray marble, there are large and imposing columns with variable height that frame the beautiful frescoes in the nave, painted by Tancredi and the famous Velasquez and a beautiful crucifix of Fra 'Umile Petralia. Of great value are the works of Marabitti, Pietro Novelli and frescoes by Borremans, and the altar dedicated to St. Gaetano, with four red marble columns, and the central altar in semi-precious stones decorated in bronze. The crypt hosts the remains of a previous church, Our Lady of Providence. 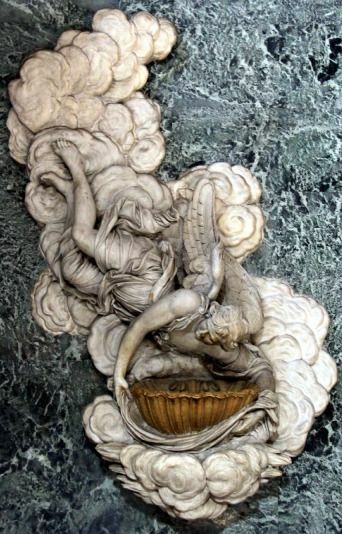 To the right and left of the entrance, attached to the walls, you look at the light brown marble holywater, and supported by two large white marble angels on a cloud in the act of descending from heaven. These are precious works, respectively, of Frederick Syracuse and Ignatius Marabitti century. XIX. The basilica is divided into three aisles by 14 columns which supported 12 full center arches, the first major characteristic feature of the building. In the spandrels of the arches are the twelve apostles, all of Antonino Manno frescoes dated 1799, magnificient artist from Palermo All columns, 34 in total, including 8 large and on which it is resting the dome, are a mass of gray stone, the Corinthian capitals and bases are of white marble. In the frame of the nave rests the whole barrel vault decorated with large golden stucco and frescoes by Paolo Corso Messina Filippo Tancredi depicting episodes from the life of St. Gaetano. All the central vault but is almost completely rebuilt on the basis of photographs, after the last war. Totally redone is also the floor. Along the aisles there is a theory of chapels all lavishly decorated with polychrome marble and stucco. Each is preceded by a dome with stucco reliefs representing cherubim and patterns of floral fresco. Visit the Church of St. Joseph of Teatini.